There is some early movement among the Class AAAAAAA Top 10. No. 3 Wheeler has quickly become one of the hottest teams in the state, climbing two spots after scoring wins over GISA superpower Holy Spirit Prep 76-68 in overtime before beating defending Class 3A state champion No. 2 GAC 76-66. The Wildcats benefit from No. 5 Grayson’s first loss of the year. After beating Class 6A No. 10 Dacula 66-54, the Rams lost at the Jared Cook Classic to debutant No. 10 Peachtree Ridge. The Lions have followed the lead of first-year Head Coach Marcus Diggs seamlessly. Peachtree Ridge has wins over Grayson 57-56 and Dacula 90-83. The Lions’ only loss came in wild fashion to No. 8 Lambert 88-80 in overtime after Mitch Ganote forced the extra period off a missed free throw and put-back at the buzzer while Colin Granger scored a career-high 42 points. Out of the rankings is Mountain View (3-1). The Bears fell 51-36 to undefeated Berkmar, who flies under the radar for at least one more week. No. 6 Norcross has yet to win a game against in-state competition, but their 78-64 win over Bishop Snyder (FL) could prove to be a springboard as they try to find chemistry. No. 7 Westlake beat Class 5A No. 4 Lithonia 74-69 before dropping to Holy Spirit Prep 72-61. Class AAAAAA sees No. 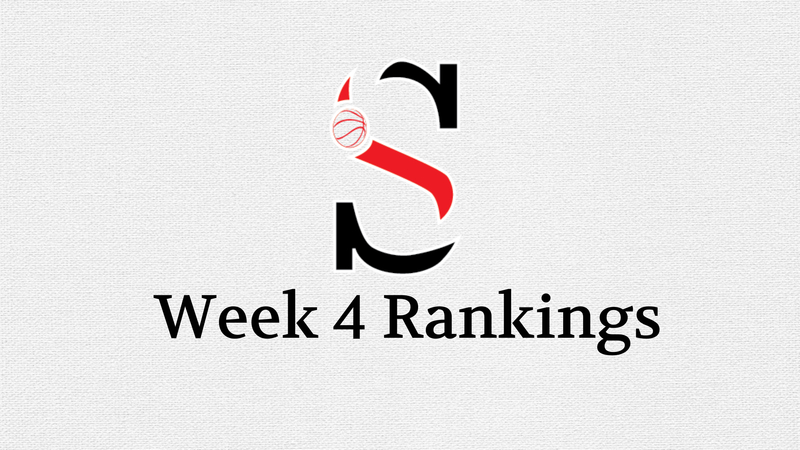 1 Tri-Cities survive another week atop the rankings. The Bulldogs rallied from down 41-19 at the half against No. 4 North Atlanta to ultimately stun the Warriors in overtime 90-81. Tri-Cities wasn’t as fortunate against Class 5A No. 4 Lithonia, losing 76-72. After a humbling season opening loss to national power Mountain Brook (AL), No. 2 Alexander rebounded with a pair of wins at the Spartan Turkey Jam in Birmingham, Alabama. They beat Northridge (AL) 69-52 and Sacred Heart (AL) 72-38. No. 8 South Cobb beat Huntsville (AL) 68-55 following their 74-40 loss to Mountain Brook at the Turkey Jam. No. 5 Langston Hughes survived Class 4A No. 7 Carver-Columbus 86-79 in double overtime behind Tyrel Morgan’s 26 points and 11 rebounds and Patrick Carter Jr.’s 24 points and 5 rebounds. The Panthers dropped a heartbreaker to Class A-Private No. 3 Greenforest 62-60 at Holiday Hoopsgiving. No. 10 Dacula is having déjà vu, digging themselves another early hole to start the season. The offensively talented Falcons sink six spots and are now 0-3 with recent losses coming against Class 7A No. 2 Meadowcreek 66-48 and Class 7A No. 10 Peachtree Ridge 90-83. Minus three starters, two coming off the football field this week, Sequoyah (1-2) could not handle their premature Top 10 ranking. The Chiefs rallied behind Jacksen Greco’s 29 points but fell short against Marietta 68-63. Sequoyah laid an egg the following day vs. Pope, getting blasted 97-54. Once Myles McGee and DJ King return to the court, the Chiefs’ upside can be properly measured. Sequoyah is replaced by No. 9 Mundy’s Mill. The Tigers are off to a quick start with unsigned 6-foot-5 senior wing Rayquan Brown and 6-foot-7 Jordan Black leading the charge. Brown averaged 29.5 points, 12.5 rebounds, 4.5 assists, 5 steals and 2 blocks through his first two games while Black scored 19 points and 6-foot-5 post DeMarcus Fannin averaged 12.5 points and 12.5 rebounds. Mundy’s Mill’s 80-71 win at Luella is their best to date. They have a favorable schedule heading into their December 8th showdown at the SportalShowcase against South Paulding. The tug-o-war has begun in Class AAAAA, as No. 1 Southwest DeKalb reclaims the No. 1 ranking after a statement 79-69 win over Class 7A No. 6 Norcross at Holiday Hoopsgiving – without three transfers, Maurice Harvey and Terrence Edwards key starters sitting out. Eugene Brown III caught fire from deep, hitting 7 threes en route to 25 points to pace the Panthers. Brown earned offers from Xavier and Kennesaw State – Yes, Kennesaw State – after the game. KD Johnson piled in 23 points, 8 assists and 5 steals while James Glisson III posted 18 points and 4 steals. No. 2 Buford has been no slouch either. They slide back behind Southwest DeKalb but the Wolves beat South Gwinnett 67-58 and Stephenson 93-45 to win the Parkview Tip-Off Classic. No. 4 Lithonia is up a spot after a busy week. The Bulldogs beat Milton in overtime 70-63, drilled No. 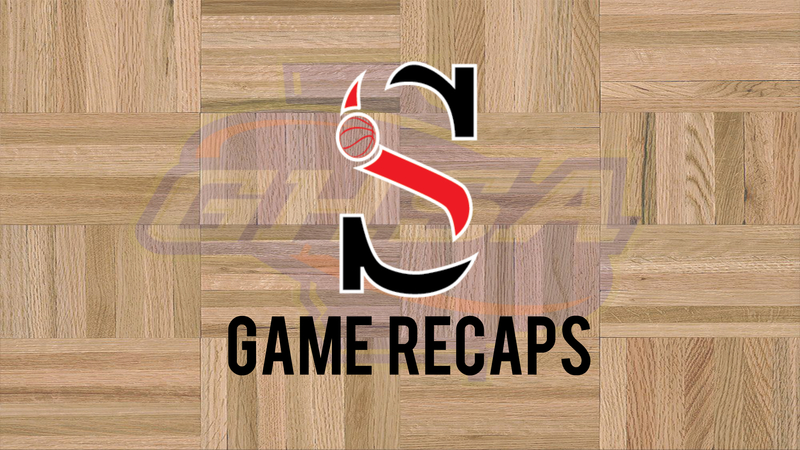 10 Cedar Shoals 57-40 – who tumbles four spots – lost to Class 7A No. 7 Westlake 74-69 and capped off the week with a 76-72 win over Class 6A No. 1 Tri-Cities. After an 0-2 start, No. 8 Woodland-Stockbridge has quickly regained its footing, beating Class 6A No. 7 Tucker 60-59 and Douglass 69-60. Maynard Jackson’s time in the poll was short lived. The Jags (2-2) dropped back-to-back games to Dutchtown 60-47 and newly ranked Class 2A No. 8 South Atlanta 77-41. No. 9 Hiram replaces Maynard Jackson. The reigning semifinalist has re-tooled with 2020 guard JaVyen Brown, a McEachern transfer and 2020 three-point specialist Arshad Crepsac, who also started his high school career at McEachern. Crepsac has seen an increased role offensively this season while 6-foot-8 center Nathan Presnell is still one of Georgia’s best big men. Their only loss came in overtime to Campbell 80-77. Over in Class AAAA, No. 1 Upson-Lee began their title defense with wins over Taylor County (72-43) and Lamar County (71-38) to run the two-time state champs’ winning streak to 65. No. 2 St. Pius X lost to Mountain Brook (AL) 57-41 after the nationally ranked program drilled Class 6A ranked teams Alexander and South Cobb. No. 3 Sandy Creek edged Class 3A No. 2 GAC 70-66. No. 4 Woodward Academy beat The Heritage School 63-58 as Walker Kessler went for 17 points, 14 rebounds, 6 assists and 9 blocks. No. 5 Henry County is up another spot after two more impressive wins. The Warhawks hammered Valdosta 53-26 and knocked off Class A-Public No. 3 Drew Charter 58-42. No. 10 Americus-Sumter handled their business against Lee County 71-63 in their season opener, Josh Lusane posting 17 points, 10 rebounds, 3 assists, 4 steals and 2 blocks. After being knocked off their perch in the Class AAA Final Four as No. 2 GAC sank 13 threes, No. 1 Morgan County is finally back on top of the poll. The Bulldogs shined at Holiday Hoopsgiving, beating Class 7A No. 9 Pebblebrook 70-64 and Class A-Private No. 1 St. Francis 82-67. The three-headed senior backcourt of Stevin Greene, Tyrin Lawrence and Austin Peay-signee Alec Woodard overwhelmed the opposition. Against Pebblebrook, Woodard finished with 23 points and 5 rebounds while Tyrin Lawrence had 18 points, 7 rebounds, 3 assists and 3 steals. Greene chipped in 18 points, 5 rebounds, 4 assists and 3 steals. In their win over St. Francis, Greene was on fire from deep, the 5-foot-9 point guard dropping in 29 points while Lawrence scored 19 and Woodard netted 17. As everything clicked for the Bulldogs, GAC saw their difficult non-region schedule lend them a 0-3 start. The defending state champs lost 70-66 to Class 4A No. 3 Sandy Creek and to Class 7A No. 3 Wheeler 76-66. Hunter McIntosh poured in 28 points, 8 rebounds and 7 assists against Wheeler, but the absence of 6-foot-5 post Chris Hinton has been glaring inside for the Spartans to start the year. New-look No. 3 Johnson-Savannah opened the season with a 65-53 loss to Lanier (AL) at Holiday Hoopsgiving. Emondre Bowles scored 18 points and Brandon Harris netted 16. No. 6 Westside-Macon is up three spots after beating Pike County 97-52, but more so because of the losses in front of them. No. 7 Dawson County slips a spot after losing to Cumberland Christian 75-64. No. 10 East Hall is down three spots after falling to newly ranked No. 9 Hart County 78-60 at the Tabo’s Tip-Off Classic. The Bulldogs earned an 87-77 win over Walnut Grove after losing their tournament opener to Berkmar 73-59. Hart County replaces Redan (1-3), who lost 63-58 to Alpharetta. There is a new number one in Class AA. No. 1 Woodville-Tompkins earns its first top ranking in school history after punishing Class 6A Bradwell Institute 91-51. All-State guard Preston Crisp dumped in 32 points followed by Bernard Pelote’s 17, Deante Green’s 11 and freshman Alfred Coaxum’s 10. For comparison, Class 6A No. 6 Heritage-Conyers only beat Bradwell 52-39. No. 2 Therrell blew a 64-51 lead heading into the fourth quarter against Class A-Private No. 6 Holy Innocents’ at Holiday Hoopsgiving to lose 91-85 in overtime. 6-foot-5 sophomore Robbie Armbrester was unstoppable inside, hanging 28 points and 18 rebounds while Ra’Sean Frederick added 18 points, 14 rebounds, 4 assists and 5 steals. The Panthers have one glaring achilles heel however – no shooters. The loss of DeAndre Brown to Holy Spirit Prep was apparent against Holy Innocents’ as Therrell scored 70 points in the paint, 25 points off turnovers, 22 second chance points and 22 fast break points, but the Panthers got just 9 points off the bench, shot 1-of-9 from three (the one coming at the buzzer from Roman Son to force OT) and just 8-of-21 from the foul line. Holy Innocents’ only led for 2 minutes and 24 seconds the entire game. If Therrell can’t find floor spacers or help off the bench, the Panthers could run into trouble against teams that can match their physicality and pack it in and rebound. Elsewhere in the state, Dublin (0-1) and Chattooga (1-2) exit the Top 10. Dublin was defeated by No. 6 Swainsboro 75-63 at home. Chattooga, missing three of their top seven players, have battled a lack of practice and participation stemmed by injuries. They finished 1-2 at the Dalton Invitational with a pair of losses to Tennessee (TN) and Morristown-Hamblen East (TN). Into the poll is longtime heavyweight No. 8 South Atlanta. Expected to go through a rebuilding process, Coach Michael Reddick’s team had none of it as they walloped Class 5A Maynard Jackson 77-41, knocking the Jaguars from the Top 10 after Ja’Quavian Florence dropped 28 points and John Lawton scored 15. Also debuting is No. 10 Glenn Hills, another team expected to have an extreme makeover after graduating a massive class. Juniors 6-foot-7 Eman Jones and 6-foot-5 John Whitehead are developing into two of the area’s best prospects and most exciting players to watch. The Spartans get a big Region 4 test as they host 2-0 Butler on Tuesday. For another week, Class A-Private will belong to No. 1 St. Francis, but the margin of error is dwindling. The Knights were outgunned by an experienced senior-laden Class 3A No. 1 Morgan County team 82-67. No. 2 Mt. Bethel could have moved into the top spot, but a less than dominant 65-61 win over Miller Grove and a 59-55 loss to Lanier (AL) gives the Knights one more week atop the heap. No. 3 Greenforest played well at Holiday Hoopsgiving, beating Class 6A No. 5 Langston Hughes 62-60 before falling to Class 7A No. 9 Pebblebrook 57-51. No. 6 Holy Innocents’ looked poised to move into the top five after beating Class 2A No. 2 Therrell 91-85 in overtime, but a shaky 52-50 loss to Sacred Heart (AL) keeps them stuck in neutral. Whitefield Academy (1-2) is a casualty this week after losing 57-47 to Hillgrove then a bad 72-37 loss to North Cobb. They are replaced by No. 9 Mt. Pisgah. The Patriots floated near the bottom of the poll early last season but never gained enough traction to stick. James Madison-signee Quinn Richey is averaging 20.3 points and 8 rebounds while Chandler Minton and Chase Tucker both average over 13 points per game in support. 6-foot-7 sophomore Nate Gordon could be developing into a difference maker, averaging 7.3 points, 9.3 rebounds and 4 blocks early in the season. The Patriots’ best win came to open the year against Centennial in overtime, 77-71. Moving up a spot in Class A-Public is No. 3 Drew Charter. The Eagles won the North Forsyth Keller Williams Classic Championship by beating Class A-Private No. 8 Lakeview Academy 66-65 and in the title game, Cherokee 59-55 behind Furman-signee Marcus Foster’s 24 points, 8 rebounds, 4 assists, 2 steals and 2 blocks. No. 2 Georgia Military clings onto their second position after blowing a double-digit lead to Evans, 65-60. No. 5 Treutlen looked like the Vikings of old, running McIntosh County Academy out of the gym 89-50. No. 7 Lanier County beat MCA 71-54.